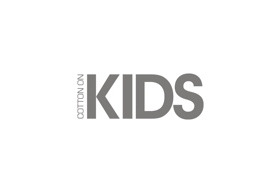 Cotton On Kids was established in 2005 following a strong demand for fashionable, fun and age-appropriate children's wear. We grow with our kids and continue to offer quality, inspirational, must-have clothing at affordable prices. We provide a unique and engaging environment, and live by our motto, '÷Happy Kids = Happy Parents'. Our shopping environment is all about our littlest customers and is quirky, classic, confident, trusted and authentic. Our categories include girls and boys apparel, baby apparel, dress ups, accessories, sleep, swim, tween 9-14 (FREE by Cotton On), stationery and room linen and accessories. Cotton On Kids Chadstone is located on the lower ground floor.